Computing affects how scientific knowledge is constructed, verified, and validated. Rapid changes in hardware capability, and software flexibility, are coupled with a volatile tool and skill set, particularly in the interdisciplinary scientific contexts of oceanography. 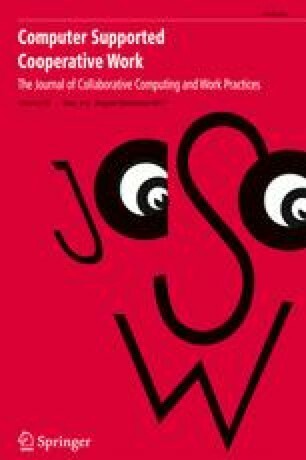 Existing research considers the role of scientists as both users and producers of code. We focus on how an intentional, individually-initiated but socially-situated, process of uptake influences code written by scientists. We present an 18-month interview and observation study of four oceanography teams, with a focus on ethnographic shadowing of individuals undertaking code work. Through qualitative analysis, we developed a framework of deliberate individual change, which builds upon prior work on programming practices in science through the lens of sociotechnical infrastructures. We use qualitative vignettes to illustrate how our theoretical framework helps to understand changing programming practices. Our findings suggest that scientists use and produce software in a way that deliberately mitigates the potential pitfalls of their programming practice. In particular, the object and method of visualization is subject to restraint intended to prevent accidental misuse. This work was supported by grants from the Gordon and Betty Moore Foundation and the Alfred P. Sloan Foundation awarded to Professor Cecilia Aragon; and by NSF Graduate Research Fellowship and AT&T Graduate Research Fellowship awarded to Kateryna Kuksenok. NSF awards IIS-0954088 and NSF ACI-1302272 awarded to Prof. Charlotte P. Lee supported supplementary data used for the beginning of the study. We would like to thank Emmerline Wu and Madeline Wood, who assisted with gathering observational data from meetings. We would also like to thank the study participants for their time, energy, and goodwill.